The Feast of the Epiphany falls on the 6th of January and I am posting this sonnet of mine as a little extra in addition to the extracts from my Advent anthology Waiting on the Word which I have been posting each day. This sonnet is drawn from my book Sounding the Seasons, which is available from Amazon etc or by order from your local bookshop, should you be lucky enough to have one. As always you can hear the poem by clicking on the ‘play’ button if it appears, or by clicking on the title of the poem which will take you to the audioboo page. Some chosen people get a special king. We don’t belong, it doesn’t mean a thing. A pilgrim’s eye that sees beyond the stars. But in the filthy stable, hallowed ground. To seek, to find, to worship, to rejoice. Epiphany celebrates the arrival of the three wise men at the manger in Bethlehem has a special mystery and joy to it. Until now the story of the coming Messiah has been confined to Israel, the covenant people, but here suddenly, mysteriously, are three Gentiles who have intuited that his birth is good new for them too. Here is an Epiphany, a revelation, that the birth of Christ is not one small step for a local religion but a great leap for all mankind. I love the way that traditionally the three wise men (or kings) are shown as representing the different races and cultures and languages of the world. I love the combination in their character of diligence and joy. They ‘seek diligently’, but they ‘rejoice with exceeding great joy’! I love the way they loved and followed a star, but didn’t stop at the star, but rather let the star lead them to something beyond itself. Surely that is a pattern for all wise contemplation of nature whether in art or science. Now the Feast of the Epiphany is both the end of Christmas and the beginning of the Church’s Epiphany Season which she keeps until the Feast of the Presentation (or Candlemas), on February 2nd. 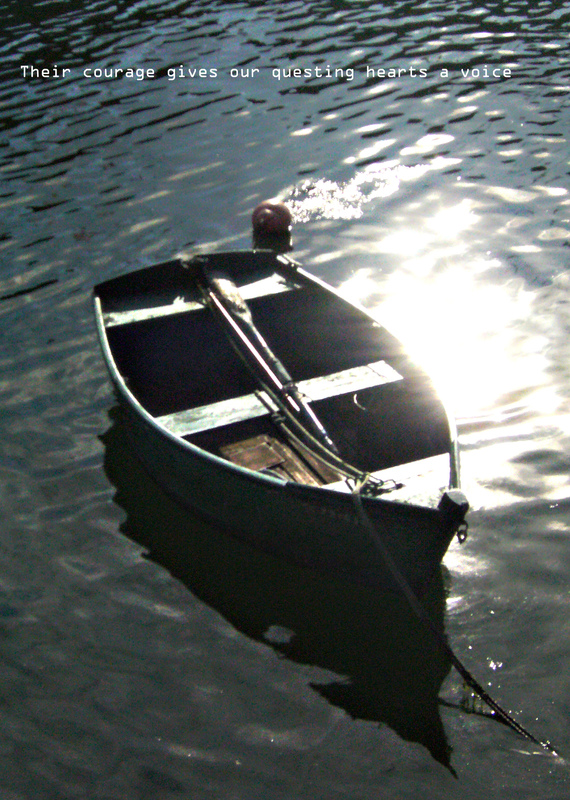 On the Sundays of this Epiphany season it is traditional to move from the this first great ‘epiphany’ or manifestation of glory to the Gentiles, to contemplate the other ‘epiphanies’ that mark the beginning of Christ’s Ministry; the Heaven’s opening at his baptism, the Calling of his disciples, especially the ‘epiphany moment’ granted to Nathanael, and promised to all of us, and then finally the first of his miracles, his ‘signs whereby he manifested his glory’; the Miracle at Cana in Galilee. The Feast of the Epiphany falls on the 6th of January but as many churches will keep the feast this Sunday, the 3rd, I am posting this a little early, and in addition to the recordings from my Advent anthology Waiting on the Word which I have been posting each day. The Gospel reading for this Sunday, the second Sunday of Epiphany (John 1:43-51) takes us to one of the most mysterious and beautiful moments in the New Testament. As the disciples begin to gather around Jesus, Philip finds Nathanael and says “We have found him of whom Moses in the Law, and the prophets did write, Jesus of Nazareth, the son of Joseph” (John 1:45) Nathanael’s unpromising response is ‘Can anything good come out of Nazareth?’ But Phillip gives the best possible reply that anyone sharing the mystery of their faith can give; ‘Come and see’. and that ‘come and see’ sets a theme of ‘seeing’ and vision which culminates in the amazing exchange between Nathanael and Jesus that follows. Here is one of those thrilling moments when a mysterious image from the Old Testament finds its fulfillment in the New! The ladder was a prophetic image given in a dream to Jacob of what is to come, now it has come true! I am the ladder, Jesus is saying, the true connection, the true gate of Heaven. And in this intimate exchange Nathanael has seen with his waking eyes what his ancestor had seen only veiled in dream and symbol! I have tried to embody something of these reflections in the following sonnet. I am grateful again for Margot Kreb’s Neale’s beautiful photograph, itself a comentary on this same mystery. The poem itself is from my collection Sounding the Seasons, published by Canterbury Press and available on Amazon or from your local bookshop. As always you can hear this poem by clicking on the ‘play’ buton or on the title. He lay down lonely and would wake alone. 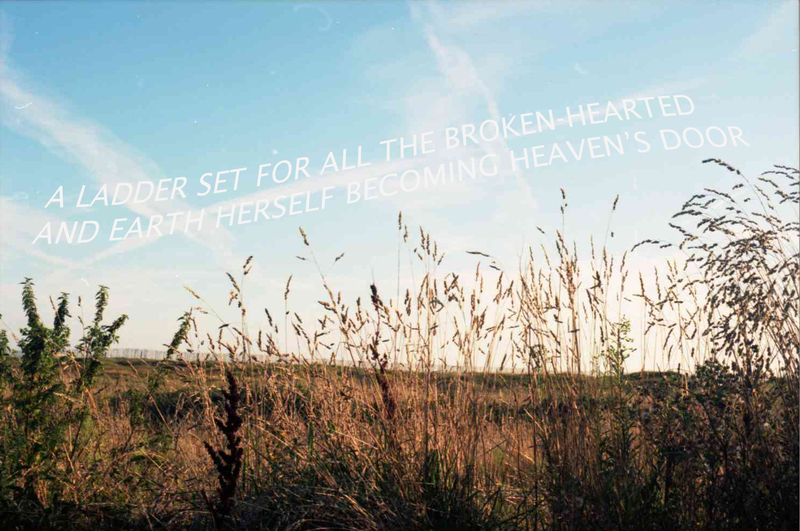 And earth herself becoming Heaven’s door. As Jacob’s dream becomes Nathanael’s waking. 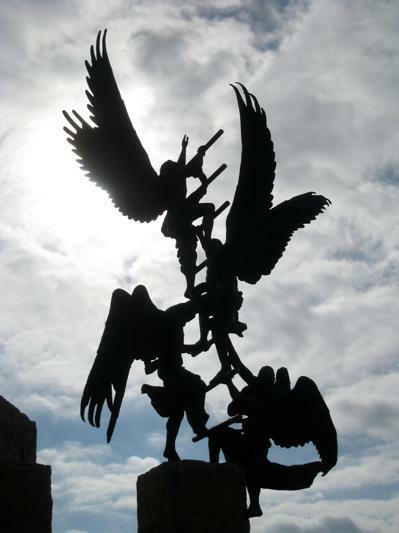 An extraordinary Sculpture of Jacob’s Dream at Abilene Christian University, Texas. The Feast of the Epiphany falls on the 6th of January but as many churches will keep the feast this Sunday, the 4th, I am posting this a little early. 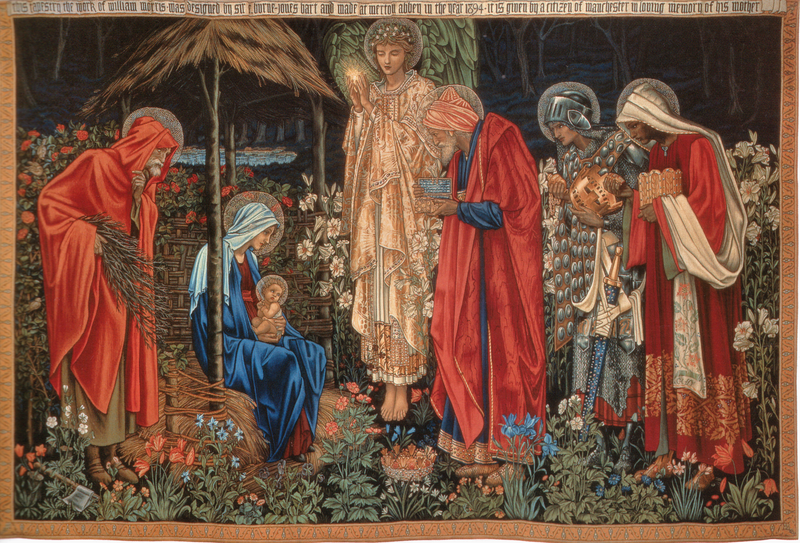 Epiphany celebrates the arrival of the three wise men at the manger in Bethlehem has a special mystery and joy to it. Until now the story of the coming Messiah has been confined to Israel, the covenant people, but here suddenly, mysteriously, are three Gentiles who have intuited that his birth is good new for them too. Here is an Epiphany, a revelation, that the birth of Christ is not one small step for a local religion but a great leap for all mankind. I love the way that traditionally the three wise men (or kings) are shown as representing the different races and cultures and languages of the world. I love the combination in their character of diligence and joy. They ‘seek diligently’, but they ‘rejoice with exceeding great joy’! I love the way they loved and followed a star, but didn’t stop at the star, but rather let the star lead them to something beyond itself. Surely that is a pattern for all wise contemplation of nature whether in art or science. The Feast of the Epiphany, which celebrates the arrival of the three wise men at the manger in Bethlehem has a special mystery and joy to it. Until now the story of the coming Messiah has been confined to Israel, the covenant people, but here suddenly, mysteriously, are three Gentiles who have intuited that his birth is good new for them too. Here is an Epiphany, a revelation, that the birth of Christ is not one small step for a local religion but a great leap for all mankind. I love the way that traditionally the three wise men (or kings) are shown as representing the different races and cultures and languages of the world. I love the combination in their character of diligence and joy. They ‘seek diligently’, but they ‘rejoice with exceeding great joy’! I love the way they loved and followed a star, but didn’t stop at the star, but rather let the star lead them to something beyond itself. Surely that is a pattern for all wise contemplation of nature whether in art or science.